Food… Who doesn’t love good food and good places to eat. This will be my first post on a new topic, Food Reviews. If you have a place in Melbourne that you think is FoodieReview worthy, then drop me a message on my public Facebook page. Pizza. Love it or hate it, Pizza is one of “convenient” choices that we have in everyday life, whether you decide to buy a frozen pizza from the store, or you order in. Back in the day (mid 1990’s) I loved Pizza. Back then you know that you got quality when you had pizza, regardless if it was from one of the Big Dogs or in a small cafe. But, this little pizza cafe made me do a 180 on my thinking of pizza.. At least, certain pizza anyway. They are called “Fair Dinkum Pizza“, and as the name suggests, their pizza is “Fair Dinkum” on service and Fair Dinkum on quality. 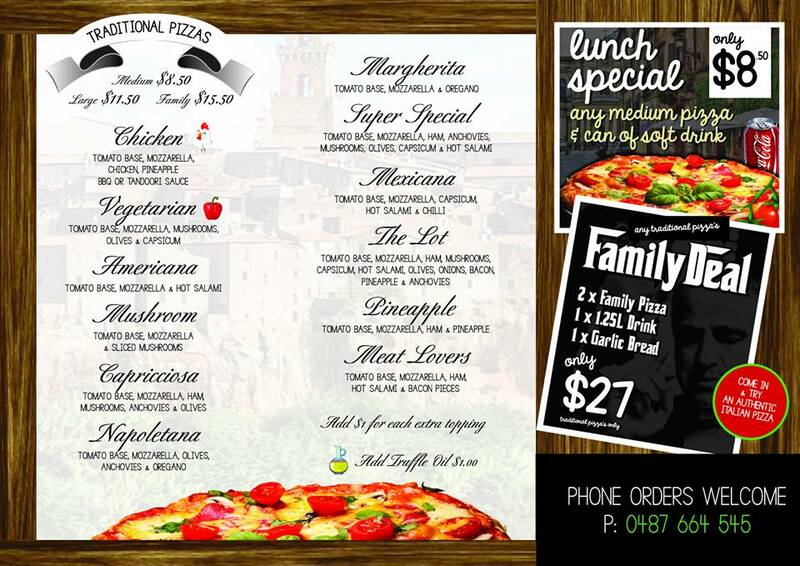 We normally order their “Family Deal” which you get 2 Family pizza’s (HUGE!) and garlic pizza. My choice – being the carnivore that I am – I go with the meat-lovers. Anna tends to go for chicken or “the lot”. Although they are a new business, the team certainly knows how to make an impression and deliver on taste and quality. Their menu may be small at present, but hey, it is early days for them and I suspect that they will just increase in choices and customers as word gets around. If you live in the region, check them out. And if you don’t live nearby, take a drive and try them for yourself… You’ll be glad you did.